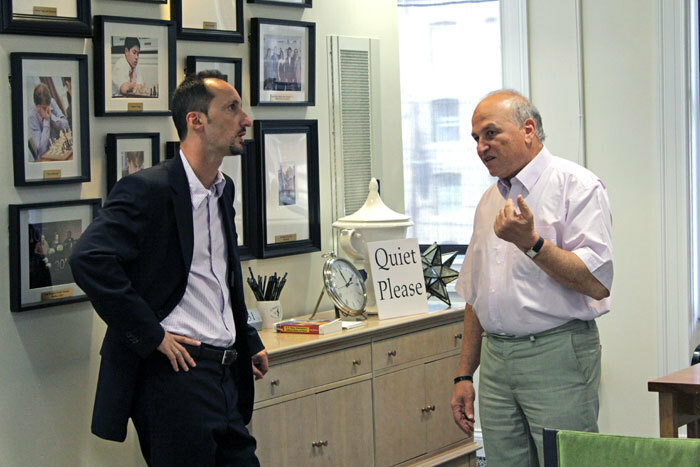 Four-time USSR Champion Alexander Beliavsky is still an active chess player at the age of 61, and in a recent interview he talked about the challenge Vassily Ivanchuk and Viswanathan Anand face playing elite chess in their mid-40s. 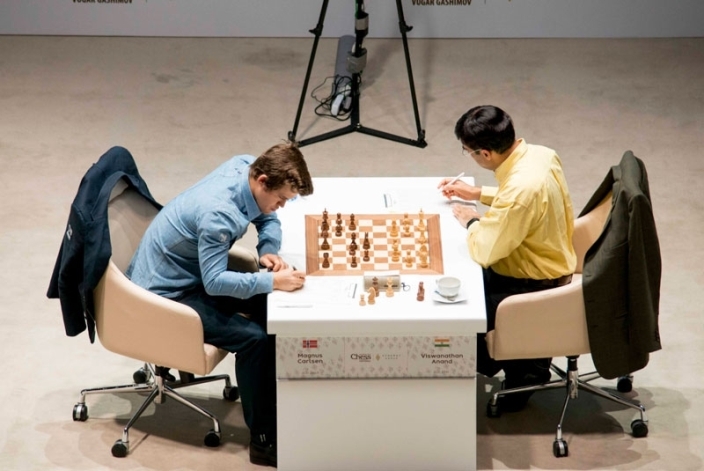 As a coach for Maxime Vachier-Lagrave, though, he’s also very much in tune with the new generation, and explains what sets Magnus Carlsen and Anatoly Karpov apart from other chess players. 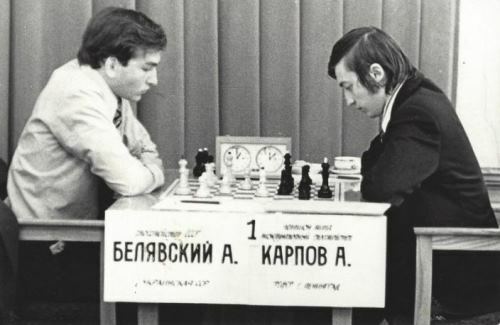 Alexander Beliavsky won the 1973 World Junior Championship and then a year later, at the age of only 21, he won the first of four USSR Championships (1974, 1981, 1987, 1990). He now represents Slovenia and has played a total of 15 Olympiads, most recently in Tromsø last year. 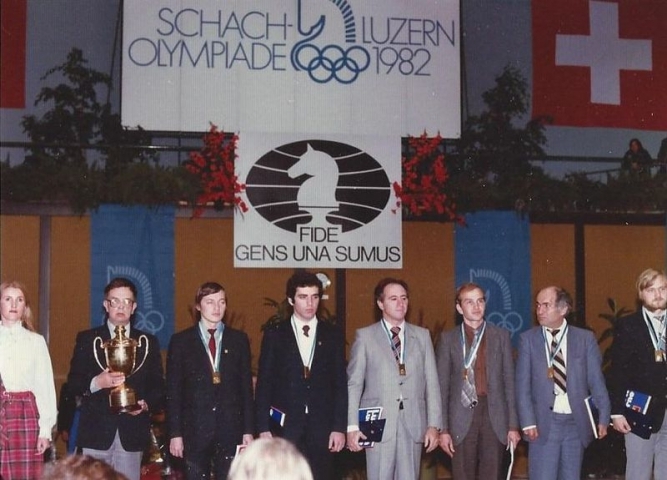 That record includes leading the USSR team to gold medals in 1984 in the absence of both Garry Kasparov and Anatoly Karpov. 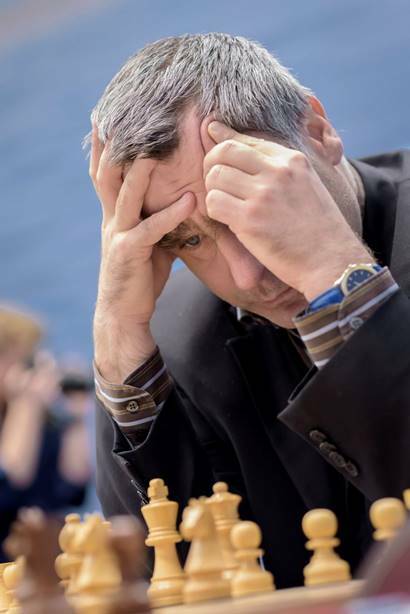 Alexander Beliavsky: Ivanchuk’s talent is phenomenal! But the main thing is his attitude to chess, his unique devotion to it. You can, of course, say that Vassily was unlucky, but you can also talk about psychological factors: at critical moments he would lose control of the situation. Take, for instance, the match against Ponomariov, when Ivanchuk was the undisputed favourite. A pessimist is a well-informed optimist (laughs). That Balzac age for a chess player is the point after which it’s very tough to fight for the World Championship title. Not for everyone. Two more than convincing examples: Vishy Anand and Boris Gelfand. Despite their “post-Balzac age” they continue to fight for the highest title. Boris wins Grand Prix stages and Vishy is back above 2800. All the way back in 2005 in the Argentine San Luis, Anand showed how he plays tournaments. He singles out 3-4 “victims” and puts everything into those games. And, as a rule, he manages to win. Ten years have since passed and Anand continues in the same spirit. That allows him to allocate his energy evenly at his 45 years old. It’s not enough for ten games, but when concentrated into three or four it works out for him. At the Vugar Gashimov Memorial in Shamkir he acted according to that well-established pattern. He identified three victims for himself, “devoured” them and then made draws in all the other games. Including the first game with Magnus, when he had a won position? 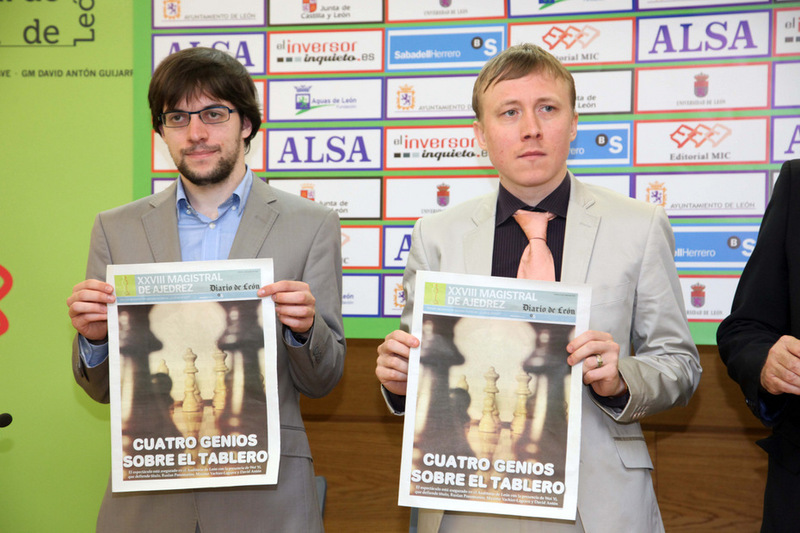 You have to talk about Anand, Gelfand and Ivanchuk in the context of that “Balzac age”. They still keep on dazzling us with their chess. That trio, in my view, is the last remaining link between the chess players of the “pre-computer” age and those of the “computer age”. And which age do you belong to? I consider myself a dinosaur. Those are extremes. And between them I played all the rest. 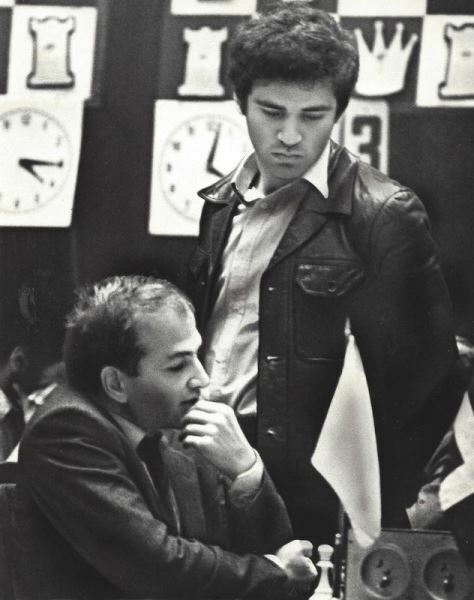 I remember well: Tilburg 1981 - you won, ahead of Tigran Petrosian, Boris Spassky and Garry Kasparov. And you also won Tilburg 1986, ahead of Karpov. But how did things go against Samuel Reshevsky? I lost. I treated Reshevsky as a “pensioner” who I absolutely had to beat, and therefore I lost to him. I’ve got a positive score against Caruana. We played three games, two ended in a draw and I won one in 2009. Have you been working with Maxime Vachier-Lagrave for a long time? Yes, about four years, I think. We’ve had training camps together – both in Lviv and Slovenia, and I’m sometimes his second at tournaments. Maxime really has become a professional in the last few years. Before he very much loved chess and would solve some studies i.e. he treated chess like an amateur. But in the last two years, when he made it into the world elite, he’s started to take his obligations very professionally. He wasn’t in his best form, but Maxime has a lot of other tournaments this year. He now plays in the Grand Chess Tour series, which is starting in Norway with the next stage in the USA, and I think he should really concentrate on that, since it will offer new opportunities. What do you think about Magnus Carlsen? I know of only two chess players who played better in the last hour of play than in the opening and middlegame - those are Karpov and Carlsen. A feature of their “chess nature”, to use Aron Nimzowitsch’s term? A feature of their mentality, I’d say. Is it only down to that feature that Magnus wins tournament after tournament? I’d also note his excellent technique in converting advantages. Well, and in general, he calculates variations well. Karpov also calculated variations well in his best years. Boris Gelfand once told me that when he played Carlsen he had the feeling there was a reincarnation of Karpov sitting opposite him. Boris and I have never talked on that topic, but we expressed ourselves almost identically. Do you think someone can knock Carlsen off his pedestal, despite his “Karpovian” ability to outplay his opponents in the last hour of play? Of course they can! Was it impossible to knock Karpov off his pedestal, despite his ability to outplay opponents in the 5th hour of play? Kasparov came along and did it very convincingly. 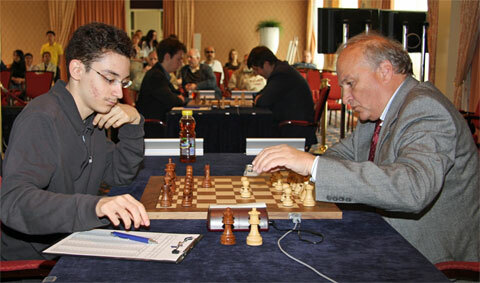 I myself witnessed how Caruana was so on fire in St. Louis that Carlsen looked like a bit player next to him. And in all three of those he didn’t win there was a moment when he was totally winning. From 1973 right up until his death Botvinnik and I were friends. When I moved to Moscow I always dropped by his flat on 3 Frunzenskaya. He would offer me tea. Gayane Davidovna, his wife, was already in hospital, so he would cook something himself. He didn’t have an impact on me so much as a chess player as he did as a personality. I could see the scale of his personality. I think he was the greatest investigator of chess. He knew how to properly formulate its laws. He knew how to formulate a law for himself that would function in all cases, something few chess players were capable of. The majority are talented people who have ideas that are, perhaps, more beautiful than Botvinnik’s were. But Botvinnik was better than everyone else at formulating fundamental laws, and he was also better at applying them in practice. Well, and of course he was naturally a great talent. Like all great chess players, he was a brilliant tactician. The chess players of that generation loved to say they were great strategists, but in actual fact they were above all great tacticians – because chess, for the most part, is a tactical game. It becomes a strategic game only when pawn chains are formed. When the pieces don’t come into contact with each other and a wall is formed between them you need to think about how to relocate your pieces. But when that pawn wall isn’t there it’s about calculation: “I go here, he goes there”. Botvinnik was above all a theoretician of pawn chains. He had a great ability to formulate the laws of positions where pawn chains form a particular structure.